Many people believe English to be a very simple language in which you can get by with quite a limited vocabulary. English grammar is indeed somewhat easier than its German counterpart; however, if you want to speak flawless English fluently, you cannot avoid acquiring a comprehensive vocabulary. In this blog article, we will introduce you to a number of possibilities in regard to training and expanding your English vocabulary. In these times when most people have access to more than 100 TV channels — many of them in English — television is obviously a great way to improve your English vocabulary. Occasionally, switch to CNN or any other English-language channel and follow the program for a while. Even if you do not understand everything being broadcast, watching television is still a very good exercise to improve your vocabulary. Whether you are watching a news program, a movie, or an episode of a TV series, you will be confronted with the actual spoken language — this is very helpful, particularly when it comes to learning common phrases. In addition to the regular TV program, you can also stream movies and series or watch them on DVD/Blu-ray. This has the great advantage of displaying subtitles. So, if you have difficulties in understanding certain words or phrases, just take a look at the subtitle and you will understand. Reading is, of course, another good practice to build up your English vocabulary. Newspapers and magazines have the two following advantages. For one, you can usually read them free of charge online. Second, building on previous knowledge, it might be somewhat easier for you to understand an article in a newspaper or magazine than a book. Depending on your command of English, you are free to choose your own level of difficulty. The New York Times is definitely somewhat harder to read than The Sun. In addition to the daily press, books are always a good way to train and expand your vocabulary. In this age of electronic books, many e-readers allow you to see explanations of unknown words. This is a very useful way of learning new vocabulary without having to use a dictionary. The word language derives from “lingua,” the Latin word for tongue. To this extent, speaking is an excellent opportunity to improve your vocabulary. In contrast to watching TV or reading, speaking forces you actively to do something. You have to put your own thoughts into words and find the right vocabulary to express yourself. This is superb training for your linguistic brain areas. Staying abroad in an English-speaking country is of course the best way to improve your English. You are surrounded by native English speakers 24/7, which means that you are exposed to the language around the clock. If you do not have the opportunity to travel to an English-speaking country, you can also have a conversation with a native English speaker at home. You will definitely know some fellow students at your university who come from English-speaking countries. To practice really good English, we would like to recommend speaking only with native speakers. No doubt, there are many students from other countries who speak very good English, but non-native speakers often make mistakes in spoken language, which you may not immediately recognize. The classic way to enlarge your vocabulary is to study a dictionary. Sounds a bit dull, but you should give it a try. 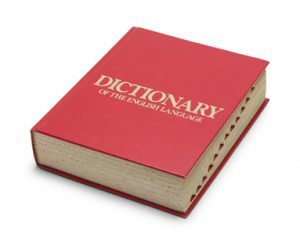 You can use a printed or an online dictionary. The classic among English dictionaries is the Oxford English Dictionary. Apart from their sheer volume, many online dictionaries have the additional advantage of displaying synonyms. Synonyms are an excellent tool to help you build a larger, better, and livelier vocabulary. In addition to the Oxford English Dictionary, we would like to introduce you to Dictionary.com, which gives you the definition as well as synonyms for every English word. Another very good source for synonyms is Woxikon. On LanguageCourse, you can train in vocabulary by levels of difficulty (A1–C1) as well as by subject area (e.g. travel, business). The vocabulary is presented to you through images and audio recordings, training both your listening comprehension and your memory retention. Finally, LanguageCourse also offers different learning methods and coaching tips. Second, Leo offers you a wide range of vocabulary training options as well. You can directly feed the vocabulary trainer with your own words, creating personalized vocabulary lists. In addition, Leo provides various training and exercise modes that allow you to customize the vocabulary training to suit your personal learning preferences. Last but not least, there is an audio track that helps you with the correct pronunciation of words. As you can see, there are many different ways to improve your English vocabulary. Just try them out and stick to the ones you enjoy most. Having fun is still the easiest way to learn. Some people prefer watching TV, others are bookworms, and yet others like to learn online. The most important tip that we can give you is to practice your vocabulary regularly — no matter what method you apply. It has been proved that skill comes with practice, and that wisdom applies to languages in particular. If you acquire even three new words per day, you will expand your vocabulary by over 1,000 words every year! This entry was posted in Vocabulary and tagged English vocabulary, vocabulary, vocabulary expansion, vocabulary training. Bookmark the permalink.